‘cause they’re smart like a fox. 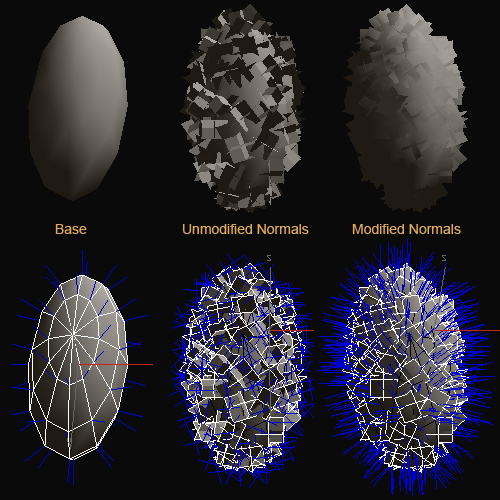 They modified the normals. This means they used the inner “bubble” object as a base and “projected” the normal orientation of it to the leaf “cloud”. So you don’t get too dark/bright faces in the wrong place but a very nice and soft shadow gradient all over the leafs. If you think i didn’t explain it good enough, feel free to read more about this in the polycount wiki. There you also find the mentioned script which makes the copy process possible. And of course this link, which is so awesome i have to post it here: It’s about the shading of gras. Warby told me another very nice advantage about this technique: You avoid too many transparent planes being rendered over each other. The big blob mesh in the middle culls most of them so you only need to care about the stuff of the front/sides. 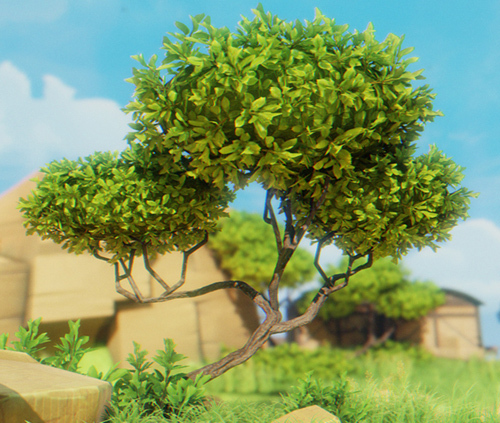 Emory has created a TUTORIAL about how to adjust the Normals in Blender, to achieve similar results like the Airborn tree. Should this tutorial-link be dead or offline in the future for some reason, I stored it as a picture on my server. 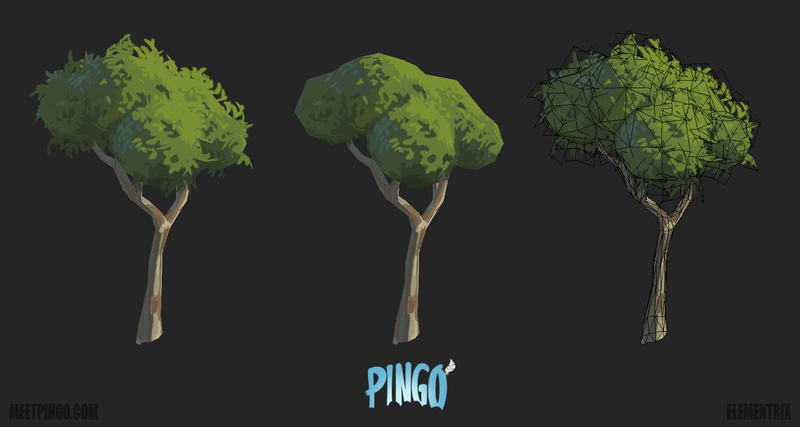 This entry was posted in Game Art Tricks and tagged Airborn, Trees on 22. February 2013 by Simon. Hm..here it’s working fine. If you want, send me an email, i’ll send you the images directly then. That’s right! So logic … but i never would have thought making it like that by my own. 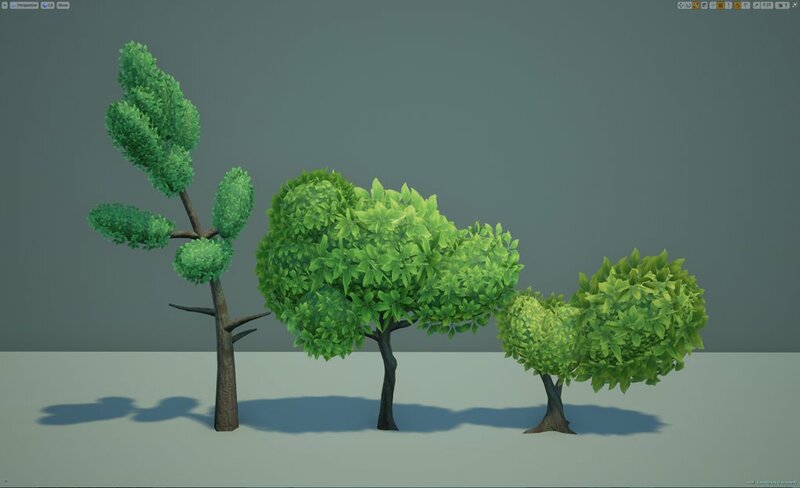 Hello Simon, any clue on how to animate the foliage for a game engine, like Unity? Usually this is done via Vertex Shader. Those shaders can push around vertices and move them for example with a simple sine-curve. By using vertex color, you can mask out the lower parts of the foilage to make it fix/not moving on the ground.